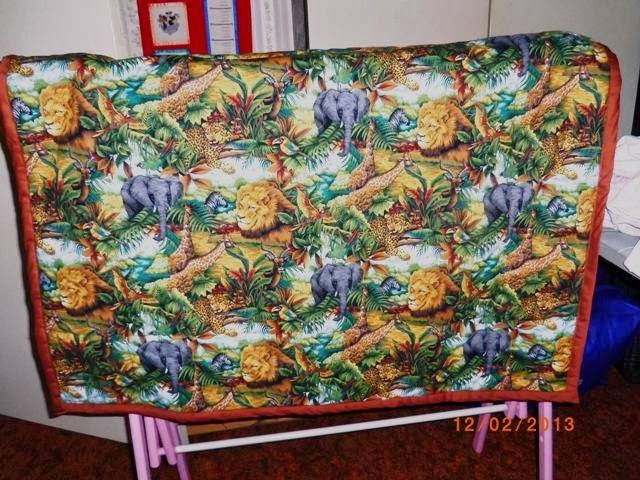 Patea PNG Quilt Collective: December 3. One quilt from Missouri USA. This was a surprise, as I don't recall having an email from this lady before, so maybe she got my details from a friend. 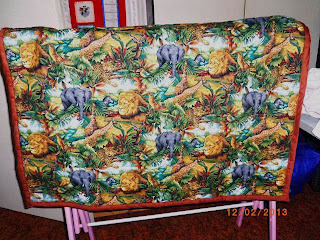 Bonnie Harris in Missouri, USA sent this beautiful cot quilt. Something that makes a donation from the USA even more special is the cost of shipping - in this case it was $18.60, which is a lot of money to post one quilt across the world for donation to a third world country. Thank you very much, Bonnie - your quilt will be greatly appreciated.